Discovers, manages and monitors investments. We trade our own accounts exclusively. Provides steady growth, no reliance on 'big' months. Designed by us, used daily by us, Ai6 exclusivity. 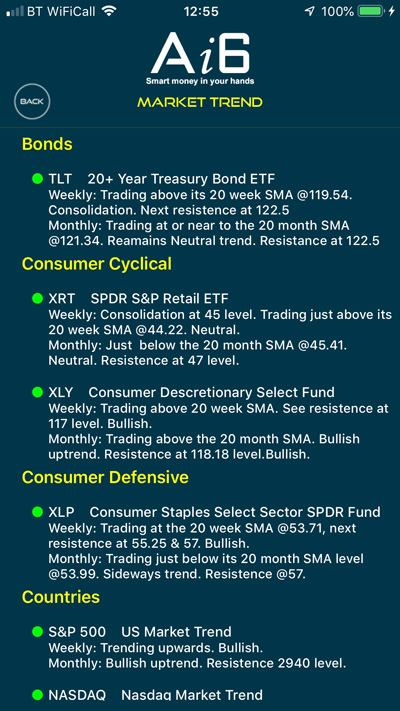 Market Alerts and Signals.Any device, anywhere, anytime. Daily reported alerts and signals, designed for Individuals, Fund Managers, Trading Offices, Trading Funds, Corporates, Robo Advisers, Customer relations and Wealth Management. 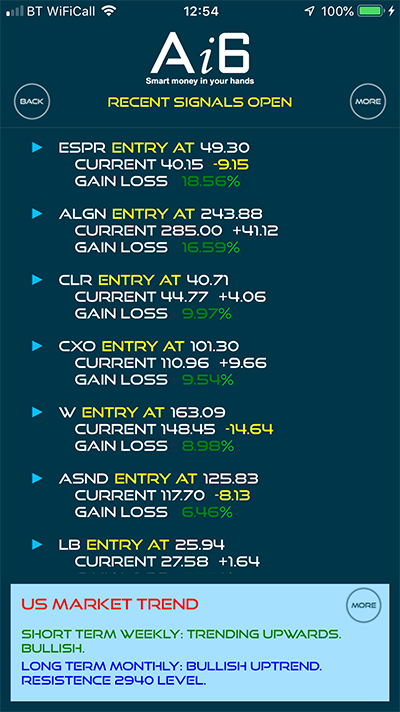 The Algorithms report daily signals, analysis of open positions and the results of closed positions. Easy monitoring and alerts on previous reports. Stay in tune with markets and be fully informed. Portfolio Manager.Redefines Investing and Trading. 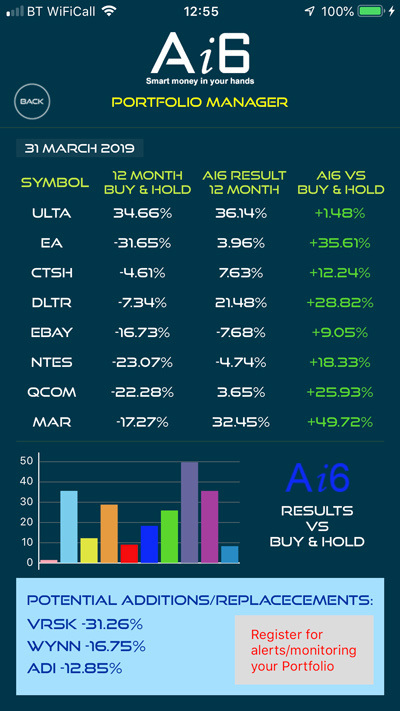 Analysis of 'buy and hold' compared to using the algorithms of Ai6. Long term investing, short term trading, analysis, alerts, risk control, portfolio scrutiny and monitoring. "Covers Nasdaq 100, FTSE and other markets." We believe in Simple, Easy to Use & Accurate systems. REGISTER for more information. Important availability for traders coming soon. Copyrights © 2016 All Rights Reserved by Collective Clarity Limited.